INDUSTRY.co.id - Jakarta - A subsidiary of PT Rajawali Nusantara Indonesia, PT Perkebunan Mitra Ogan, is funded through a Partnership on the Assurance of Oil Palm Oil Production from PT. Derivatives Clearing House (Persero). The partnership was signed by the Managing Director of PT Mitra Perkebunan Ogan Fikri Al Ansor together with the President Director of KBI Fajar Wibhiyadi who was witnessed by the President Director of RNI B. Didik Prasetyo and the Board of Directors of RNI at RNI Building Jakarta on Thursday. "This partnership will touch on several strategic aspects, such as improving existing gardens through proper fertilization and plant maintenance with normal maintenance techniques," said Oik Mitra Plantation Director Fikri Al Ansor to the media crew. Fikri mentioned this cooperation to provide certainty of funding to PT Perkebunan Mitra Ogan to increase business scale and productivity of palm oil. In the fiscal year 2018, palm oil productivity of palm oil companies based in South Sumatera Province is targeted to penetrate 47,516 tons or increase 245.9 percent compared to production in 2017 which was at 13,736 tons. This is in line with the target of increasing production of Fresh Fruit Bunches (TBS) in 2018 at 124,825 tons or an increase of 25.27 percent from the previous year of 99,641 tons. 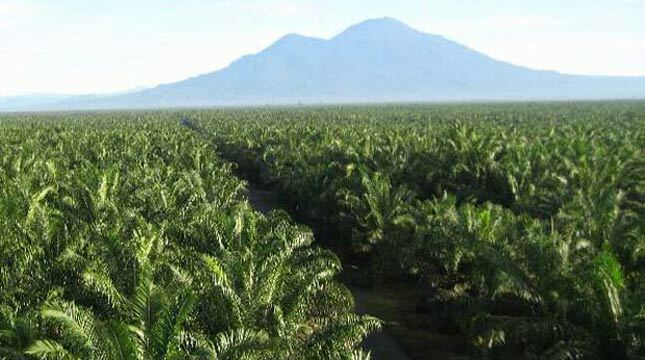 Fitri said that the funding guarantee will target the improvement of infrastructure, in the form of maintenance of roads and bridges within the Karang Depo garden which will facilitate the TBS planting from plantation to factory as well as factory maintenance in an effort to increase the yield and quality of CPO and palm kernel. In addition, funding is also for the purchase of FFB from plasma plantations and 3rd parties for the fulfillment of plant capacity. Structure of funding synergy is done through bailout system with target creditors of financial institution. There is also a fixed ceiling of Rp50 billion with a period of 1 year and a guarantee through a sale and purchase contract between Partner Ogan with buyers who are focused on CPO products. Fikri expects this synergy to accelerate efforts to improve Mitra Ogan through better achievement in 2018 in line with the continuous improvement in palm oil productivity in the country. Based on data from the Indonesian Palm Oil Board (DMSI), national CPO production in the first semester of this year reached 19 million tons, up 5.56 percent compared to the previous year's 1st semester production of 18 million tons.